The reigning Eurobasket champions Spain, surprisingly had to qualify for the Semifinals via the quarterfinal qualifiers after falling to world cup debutants Belgium. 3 Points Scoring: Spain is averaging 32.8% from long range. 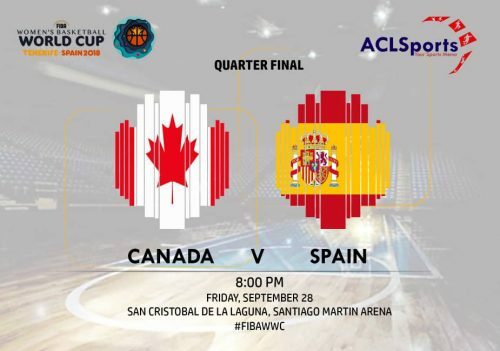 Ana Cruz and Martha Xargay have proven to be one of the most dangerous shooters in the tournament.​ But must ready for some tough defense against Canada. Transition Offense: Canada is a highly productive on the transition play powered by the athleticism of Kia Nurse, Nanyo Rancock-Ekunwe. And Natalie Achonwa. Canada can rely on their quick offense .